Cheeseburgers. 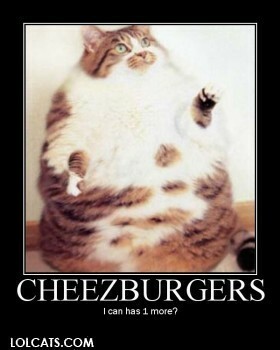 This cat is wayyy 2 fat. Wallpaper and background images in the Kitties club tagged: cat funny fat. It looks like my kitty, Zeke! that is just horoble pic!